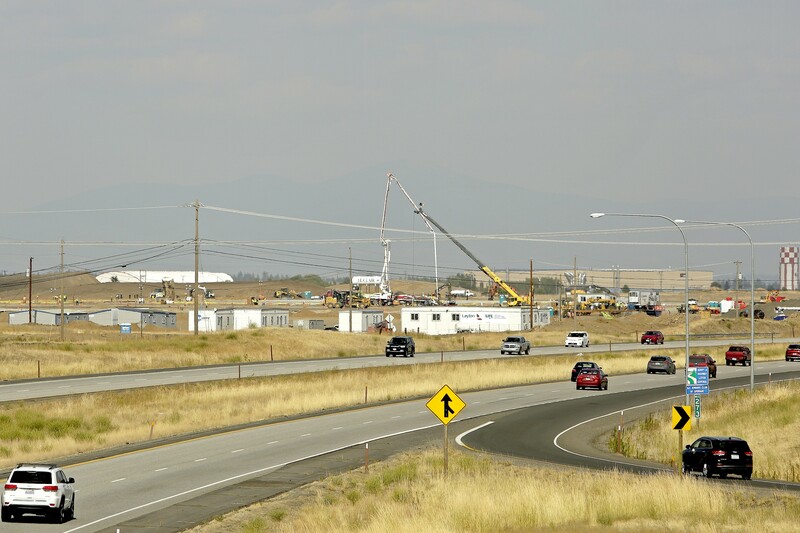 The Amazon fulfillment center construction site as seen from Interstate 90. Amazon knew Spokane was interested. After all, Greater Spokane Incorporated, the city's chamber of commerce, had made a long-shot overture last fall to the company for its second headquarters, despite Spokane not meeting many of the baseline requirements. But ultimately, it was Amazon who made the first move. Through the largest real estate site selector in the United States, the Trammell Crow Company, Amazon reached out to property owner Tom Tilford about a big chunk of his land on the West Plains across from Caterpillar. The proposed development promised to be a single building with the biggest footprint in Spokane County by far — two and a half times larger than the NorthTown Mall. It would bring 1,500 jobs to the community — and even more during the holiday rush. But there was a catch. Rather, there were a lot of catches. Amazon had a long list of requirements — roads, pipes, fire infrastructure — that Spokane County had to meet. And it had to do it fast. Think of it as a snake swallowing a pig, a massive project moving through a tight pipeline, says Spokane County Commissioner Al French. 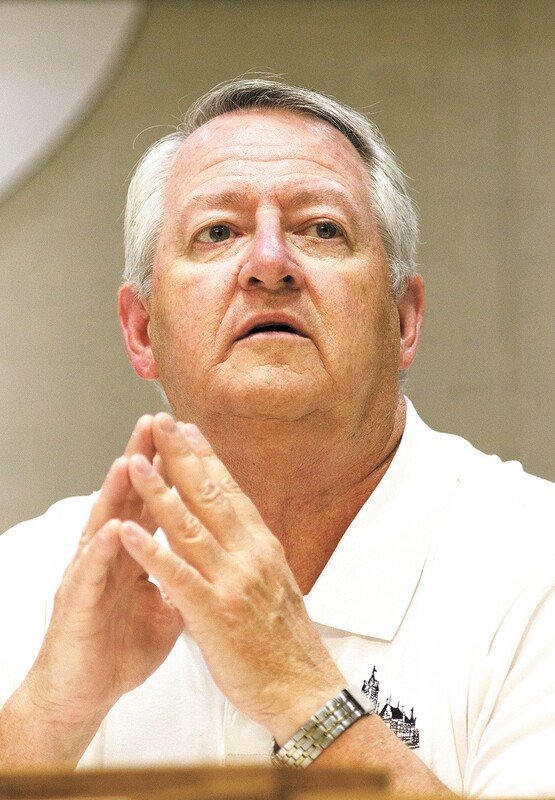 It meant a slew of different county and state bureaucracies had to move quickly in tandem. Just a year earlier, French suggests, that task could have been impossible. But this time, the Spokane region was ready. By the time Amazon came knocking, they had the perfect team in place to open the door. The name "The West Plains Public Development Authority," admittedly, wasn't very flashy. But the team behind the group was composed of some of the hardest-driving public leaders in the Spokane region, including French, City Council President Ben Stuckart, City Administrator Theresa Sanders and Spokane International Airport CEO Larry Krauter. Together, their goal was to sweep away the roadblocks standing in the way of new businesses. The secret spice, French says, was a revenue-sharing agreement. For years, Spokane County and the city had been fighting over boundaries and business locations, knowing that, say, where a Costco building landed could mean big differences in the budget books. But a revenue-sharing agreement meant that, no matter where the business landed in the boundaries of the West Plains PDA, everyone would benefit. Spokane County Commissioner Al French. "Without that philosophical paradigm shift, everybody is more interested in protecting their own than making the deal," French says. But here, when it came to addressing Amazon's checklist, everyone had the same goal and the same way to win. He recalls a meeting in a fifth-floor conference room inside City Hall, where the city of Spokane, Spokane County, Washington State Department of Transportation, Trammell Crow officials and local engineers and designers were all together, harmonizing as one. Normally, French says, you would have to play "musical chairs," going from one agency to another to another and struggling to get everyone on the same page. "Here, we were able to do it in one meeting in one room," French says. That doesn't mean it was easy. There was a ton that needed to be done. Local fire departments needed to develop mutual aid agreements in order to have the capacity to marshal resources to respond to a fire at such a large facility. The county and the state both had to rebuild Geiger Boulevard to handle industrial traffic. The state needed to move tens of millions of scheduled Washington State Department of Transportation dollars for two interchanges ahead from 2021 to 2019. French describes flying back from Washington, D.C., on a red-eye flight to meet with Washington Gov. Jay Inslee in order to win his support for changing the construction funding schedule. French says Inslee was fully on board. "If I couldn't move the highway work up by a full year, then I'm going to have a traffic jam on I-90 and Medical Lake to where you can't get trucks out. If I can't get sewer or water out there, then they're going to be really challenged," French says. "If I can't widen up the road to accommodate the additional traffic, then the trucks can't move. Every one of those hinge pins were critical." And this entire time, French says, the team had to keep a tantalizing secret. Even once they started meeting with Amazon executives directly, French says, nondisclosure agreements required them to keep their mouths shut. They referred to the project only as "Project Rose." But in April, the Spokane Journal of Business figured it out. The shape, the size, the codename subterfuge — it all looked pretty Amazon-y, the Journal concluded. That created some problems. "They go, 'Wait a minute, you guys are on a nondisclosure agreement,'" French says. "Who leaked?" If they had violated the agreement, French says, it could have ruined the deal. "It would have ended up in Moses Lake or the Tri-Cities," French says. By late July, however, Amazon was finally ready to announce what everybody suspected. Amazon was coming to Spokane. "We've now got an engine to help drive economic development," French told the Inlander then. "Amazon, when I was working with them, they were amazed about how quickly we would respond to get them into construction. In seven months, they're moving dirt. And they'll be open next year." The original print version of this article was headlined "How a Snake Swallowed the Pig"